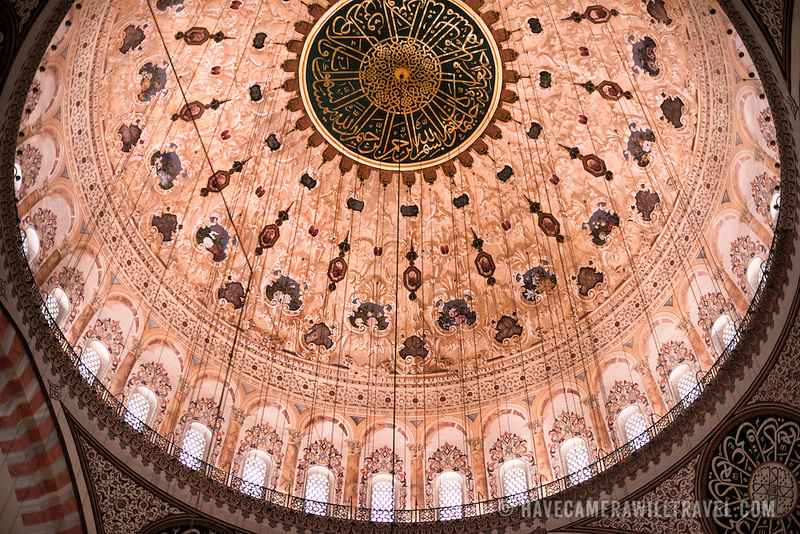 Inside the prayer hall of Suleymaniye Mosque in Istanbul, ornately decorated in the imperial Ottoman style. Dedicated to Suleiman the Magnificent (or Suleiman I), the longest-reigning Ottoman Sultan (1520-1566), Süleymaniye Mosque stands prominently on Istanbul's Third Hill and is considered the city's most important mosque. It was completed in 1558.